The Sixth Amendment of the US constitution guarantees the right to a Speedy Trial and Impartial panel of Assessors (Jury).We want to do the same. 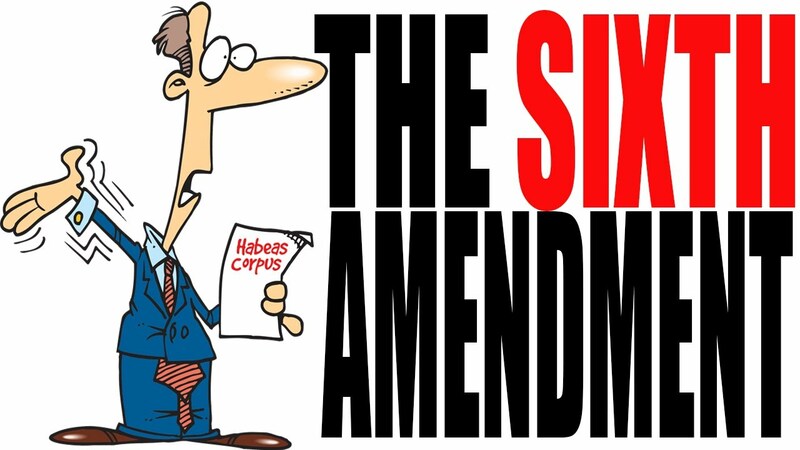 Double blind trials have a impartial set of assessors who are there to monitor the good and bad effects of any test drug but how do we make it more speedy…..simple its the Sixth Amendment. Every time you want to change anything in the trial you need to make an amendment that goes through ethical review. The Sixth Amendment to our trial indeed provides more speed. The trial was in two parts. In the first part the drug dose was increased to check that it was safe in people with MS, determine how people with MS handle and respond to the drug; to assess efficacy and to see the doses that are tolerated. Then people get the maximum tolerated dose or placebo twice a day for a few weeks. This had meant coming into hospital every day to do the first part. and so it helped if you lived locally to be shipped backwards and forwards from home each day or you were put up in a hotel during this time. The doctors are happy that the drug appears as safe in people with MS and that everyone tolerates the maximum tested dose and therefore the sixth amendment terminates the need to continue with the first part of the trial. The study (both part I and II) is blinded and placebo controlled and the results won’t be looked at until everyone is recruited. The trial was always powered on the second part of the study and therefore you now only have to visit the hospital a few times for a couple of hours. There are now centres in London (Barts and UCL) and Liverpool and Sheffield that are actively recruiting and more are being added so if you can commute (e.g. via a taxi/ train-taxi) to one of these sites or want a hotel when things are inconvenient then contact the sites below or get your neurologist to contact the sites. Whilst you can use a wheel chair, you will also need to be able to walk 10m as part of the study and get on the bed for assessment. I am sorry to say this is placebo-controlled trial and not an add-on study, but their are scientific reasons to justify this. Therefore to be eligible, you will need to be drug-free or be willing to come off your drug to do the trial. I am led to believe that this can be a revelation, as one may appreciate how sedative current medications can be and you will get a tailored symptom management plan once the study is complete. CoI: I am a founder and consultant to Canbex Therapeutics who are performing this trial. Can you please explain to me the benefits of getting rid of spasticity in legs? I probably sound ignorant but I don't understand how this will help walking. I always thought that the signal from the brain grew weaker so walking stopped-am I wrong? It is a trial and you have to measure something..spasticity in the arms, spasticity in the legs but if a drug stops spasticity in the arms it stops spasticity in the legs. One of the scales is called the tardieu scale which measures lower limb spasticity another is the Ashworth Scale required by the FDA another is a visual analogue scale another is a 10m walk etc. This study is about spasticity which is not the same as walking. Some people need spasticity to walk others do not walk because of it but like wise if you are in a wheelchair and need to be lifted then you need hoists and other equipment and space. So some requirements are logistical. I've come out of a long period of over a year of horrible spasticity in my legs. I wondered why this would be? Yes it's good news but it may only be temporary. If you have interest and/or are testing in other countries with people let me know, please MD, I have the greatest interest in participating in this study. CrowdSpeak: Why am I a bottleneck?